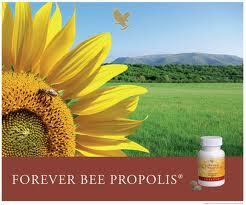 Forever Living Products offers you a remarkable line of 100% Natural Bee Products. Our beehives are located in an ideal environment - the high desert regions of Arizona and where the pristine environment eliminates contaminants such as pesticides and pollutants. We use state-of-the-art, specially designed equipment to gather and preserve the ingredients in the conditions nature intended. All of our bee products - Honey, Royal Jelly, Bee Pollen and Bee Propolis are natural and nutritionally rich, from the hives directly to you, just as honeybees have been making them for thousands of years! This great-tasting, natural sweetener is loaded with nature’s goodness. Forever Bee Honey is a quick and natural energy source for any occasion! • Natural sweetener, easily digested. 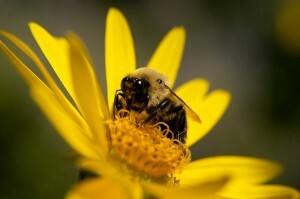 When we think of bees, honey and pollen are foremost in our thoughts. Yet another important substance, propolis, is a sticky resin collected by bees. Honeybees collect and metabolize the propolis, then line their hives with it to protect the hive. It’s so effective, the interior of the bee hive has been found to be safer than most operating rooms. The name Propolis is derived from the Greek meaning “before the city,” signifying that propolis defended the entire community from external threat. Propolis has a 5000-year history. 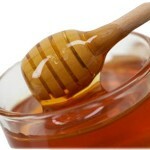 The Assyrians and the Greeks used propolis to help maintain good health. Containing 22 amino acids, B-complex vitamins and fortified with royal jelly, Forever Bee Propolis is an excellent way to help support the body’s natural defenses. Forever Bee Pollen® is gathered in specially-designed stainless steel collectors from the blossoms that blanket remote, high desert regions. This ensures the freshest and most potent natural food. 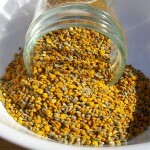 Forever Bee Pollen is all-natural and contains no preservatives, artificial flavors. A) Purchase as a retail customer - Simply follow this link (FLP Bee Products),follow the instructions and make a purchase online. Purchase is safe and secure using your credit card. B) Purchase wholesale- To be a smarter consumer you may want to register as a FLP distributor and purchase at Wholesale Price's saving anywhere from 15% to 50%.